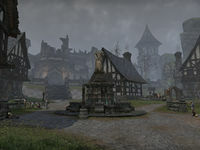 Camlorn is a city in north-central Glenumbra. The city has been overrun by a band of werewolves led by Faolchu. Camlorn Objective: Lead the effort to retake Camlorn. This page was last modified on 31 March 2019, at 19:04.